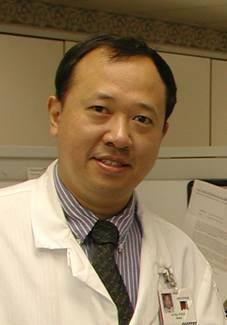 Lin Hu, DMD., DDS., MS., PhD. Dr. Hu is a board certified orthodontist and, he had his ABO status recertified in 2008. He is an Assistant Clinical Professor of Orthodontics at Montefiore Medical Center/Albert Einstein College of Medicine. He serves as an orthodontic attending at Montefiore Medical Center, and he teaches part time at the Children Evaluation and Rehabilitation Center / Rose F. Kennedy Center. Dr. Hu received his American Doctorate of Dental Medicine from the University of Pennsylvania. He was awarded a specialist certificate in orthodontics from Montefiore Medical Center in Albert Einstein College of Medicine, which is accredited by the American Dental Association(ADA). Dr. Hu was originally from China. He received his first dental degree from Sichuan Medical College, which was renamed West China University of Medical Sciences. He received his Masters and PhD degree from West China University of Medical Sciences in Orthodontics and Surgical Orthodontic Treatment, respectively. He was an associate professor in orthodontics at the Orthodontic Department and an orthodontic attending at the University Hospital, West China University of Medical Sciences. He was one of the two orthodontists who received the highest honour from the State Council and Educational Committee of China as the China's Doctor with Outstanding Achievements. Dr. Hu has been actively engaged in the research and has published numerous articles in orthodontic literature. He aslo worked in the Plastic Surgery Department at Miami Children Hospital and the Miami Craniofacial Anomalies Program, he edited and performed research for many cases in the book by Dr. Samuel Berkowitz entitled . Those articles include , . 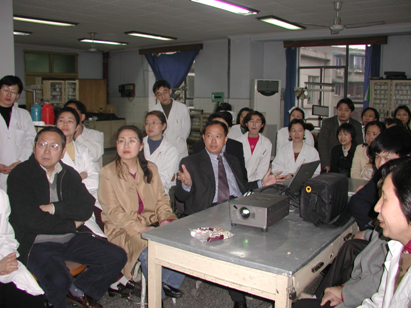 He gave numerous orthodontic lectures to University and local hospitals when he visited China. Dr. Hu is a Board Certified Orthodontist and He is the one of few orthodontists who were recertified in 2008 in New York Chinese communities. He is an active member of American Association of Orthodontists. He is currently maintain State of the Art orthodontic practices―in Qeens, Manhattan of New York city and Great Neck of Long Island.